There is a very deep well in the New Western Tower. 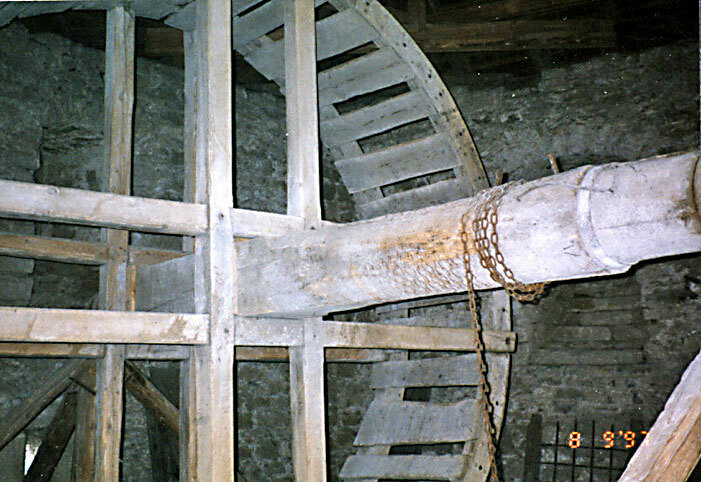 In order to raise buckets of water this great distance this wheel was used. A horse or prisoners were placed to walk on the wheel like squirels in a cage. The bucket was attached to the chain around the shaft.